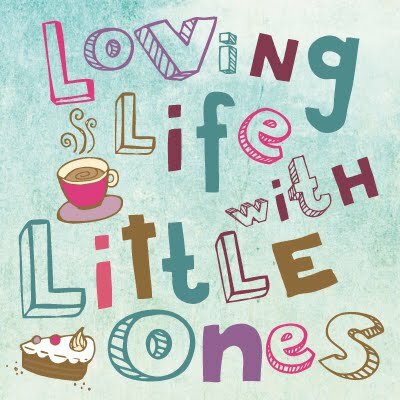 Loving Life with Little Ones: Little 1, Little 2, Little 3, We are having another baby!! Little 1, Little 2, Little 3, We are having another baby!! Congratulations to the Duke and Duchess of Cambridge who announced today that the Duchess, Kate Middleton is pregnant with their second baby. A brother or sister for Prince George, and who will become 4th in line to the throne. I do feel sorry for poor Kate as it is reported that she is suffering with severe morning sickness, it is horrid at the best of times let alone when it is that bad. I wish them well and hope everything goes smoothly, two children under two, rather them than me! So if it is a day for announcing pregnancies then the time has well and truly come for me to announce our exciting news too. We are having another baby!! Yes Little 1 and Little 2 are going to have another playmate, we are having a third child, a Little 3, and we are all very happy. I am now 14 and a half weeks pregnant and into my second trimester, it has gone really fast. I can say I am finally beginning to feel a little better. I suffered typical morning sickness for the first 6 months with Little 1 and 5 months with Little 2, being sick every day. This time I have been lucky enough not to have actually been sick once (although I have been close on many occasions), instead I have felt sick from the moment I got up until about 7pm which has been really tough especially over the summer holidays with two children to look after and entertain. As well as feeling dire I have had the most terrible indigestion; every time I ate I would get horrible stomach pains like I had badly overeaten (you know that eaten too much feeling when you feel a bit sick if you move kinda feeling) lasting several hours after eating (even something small like a piece of toast or an apple!) and then suddenly the next moment I felt ravenous and shaky desperately needing to eat and as soon as I did the indigestion would come back, it wasn't nice. Thankfully it seems to have eased over the last couple of weeks and now I just seem to have a lot of stomach ache which I can deal with (it is ok to swig Gaviscon out of the bottle isn't it?). Hopefully it will get better soon. I have also been feeling extremely tired, I don't remember being anything like this tired with the other two and I was working when I was pregnant with them! Perhaps it is running around after two children all day, dashing to pre-school and now school, we did have a busy summer too or maybe because I haven't been able to eat very well and that has left me weary, here is hoping that I find that second trimester buzz of energy soon. Moaning aside everything is going well, I am healthy and so is the baby, we saw him/her wriggling away on the 12 week scan and waving at us a couple of weeks ago. The Little ones are ecstatic as it was a surprise to them. When we told them Little 1 jumped up and down throwing her fists into the air and shouted 'Thank You', we had no idea she wanted another sibling that much. Little 2 contemplated the news quietly whilst sucking her thumb and then walked over to me and delicately tapped my tummy and said 'In there, mummy? ', a smile spreading across her face, so both took the news well. Little 1 has already told her old pre-school staff, her class and half the parents in the school playground, we have told our families and friends so the secret is well and truly out and it was about time I wrote about it here. Massive congratulations!! What a lovely, happy post. Glad you're starting to feel better and that hopefully you won't suffer as long as you did with your first two pregnancies. I'll look forward to following your journey as you become a mum, again. Congratulations! Middle man was never keen on us having another baby, but nearly 3 years on he has finally decided it isn't too bad. Congratulations hun!! How exciting. Glad to hear you're feeling a little better now. It must be exhausting having 2 little ones and a school run to contend with too!